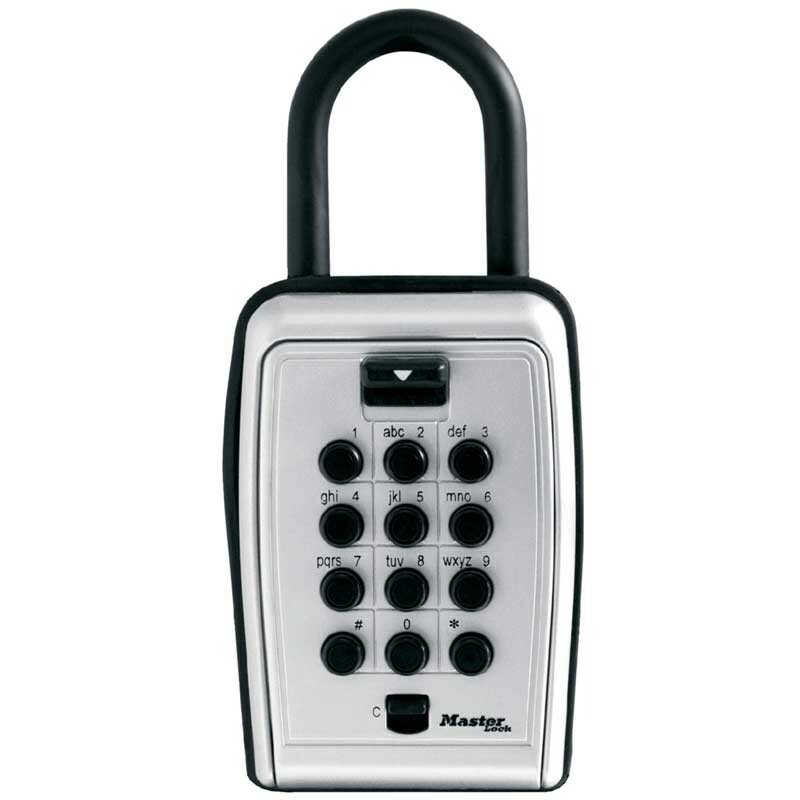 Portable key safe provides secure storage of keys or access cards. Convenient push button locking mechanism in familiar alpha / numeric telephone keypad format. Set your own combination using up to 12 letters, numbers, or both. Large buttons for ease of use, even in low light conditions. 3-1/8in (79mm) Wide durable metal construction. Large internal cavity and removable key hook prevents jamming. Molded bumper and vinyl coated shackle prevents scratches to your door. Protective weather cover prevents freezing and jamming.